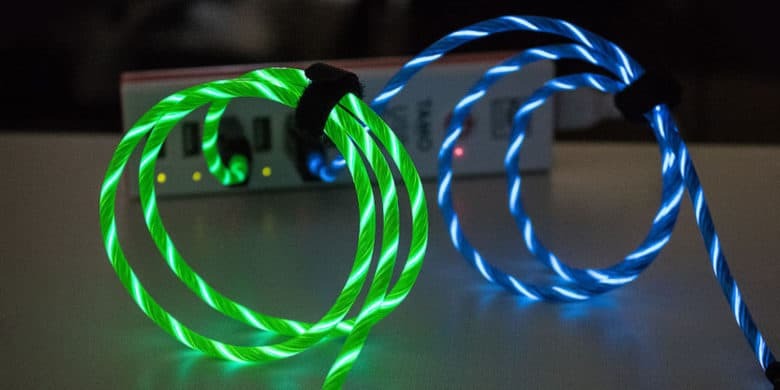 These LED Lightning cables bring light and color to charging and syncing. Add some fun and visibility to your boring old Lightning cables. Let’s be honest, the standard Lightning cables are plain and boring. They’re also tough to find, which you know if you’ve ever found yourself searching around in the dark trying to charge your phone. So these lit Lightning cables from TAMO shine by comparison. Lines with coils of LEDs, they’re impossible to lose track of when plugged in, and add a cool cyberpunk vibe to any room. They even work great as travel reading lights, like when you’re charging or syncing your devices on a plane. Additionally they come with MFi-Certification, so they reliably carry a charge and transfer data. Keep these in mind if you’re in the market for a new Lightning cable. They’re more useful, cooler, and priced similarly to the standard Apple cables. Buy now: Get a TAMO Charge-N-Glow MFi-Certified Lightning cable for $18.99. That’s a 29 percent discount.